What does a person do when in an unforeseen financial need like a medical emergency or some repair work or the last minute travel plan? Naturally, one starts looking at borrowing options available to him/her. Traditional methods of borrowing like banks may not be a reliable option in times of emergencies because the credit score of the person may not allow the bank to grant him/her loan. The credit score calculated by banks in order to decide the eligibility of a borrower is based on previous credit history. It may seem unfair to judge a person's creditworthiness in this manner. 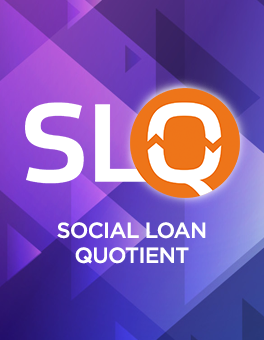 Personal loan apps are a welcome change in Indian lending sector where the creditworthiness of an individual is judged on a fair and just basis called "Social Loan Quotient". One such personal loan app is CASHe. CASHe’s proprietary credit evaluation framework, the Social Loan Quotient (SLQ), uses a combination of Big Data Analytics and proprietary Artificial Intelligence based algorithms to evaluate tradition inputs and the user’s digital footprint to measure their creditworthiness. 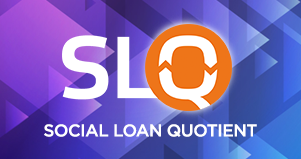 The SLQ determines both the loan amount and the interest rate charged. In simpler terms, parameters like number of Facebook friends, public interactions on social media, the apps one has downloaded on his/her phone and the mobile phone model that one uses, education, remuneration, career, financial history, etc. will be used to determine the eligibility of a borrower. By using these parameters, one is able to determine the overall picture of an individual's creditworthiness. The whole process of generating the scores through SLQ is quite simple and takes just a few seconds. With a better Social Loan Quotient, the rates of interest could be lower, and the loan eligibility can be more. Many personal loan apps are emerging in India these days which offer short term loans which are payable over a period of some days to few months. The best part of borrowing from personal loan apps is the hassle free and paperless experience which saves a lot of time in comparison to borrowing money from conventional sources. These apps provide unsecured loans and require some basic mandatory documents like a copy of your PAN card, Aadhar card, latest salary slip, & bank statements of last few months. The interest rates offered are on par or lower than those offered by credit card companies. So, while living in an era of smart devices, make wise financial decisions regarding borrowing money through just a few clicks on your smart phones.